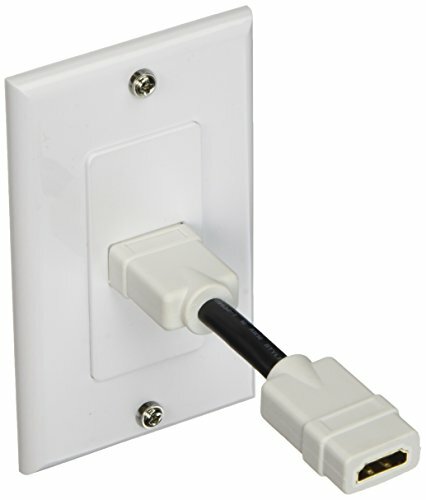 This is a white HDMI wall plate with support for the HDMI Ethernet channel which delivers Ethernet data interconnectivity through the 4 inch coupler cable on the rear of the plate. 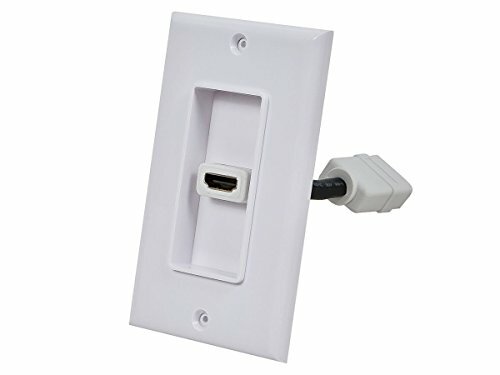 This convenient wall plate has a female connector on the front and in back for easy installation. Eliminate cable clutter by hiding your cables in-wall.